#34: Cook a meatless meal once a week. #36: Get a handgun carry permit. Here's how to get a handgun carry permit. 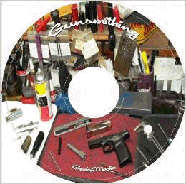 but you can modify, design and build firearms as well. 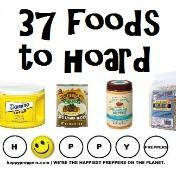 #39: Live one week on what's in your food storage. 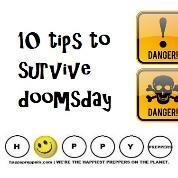 #40: Start a new prepper hobby. 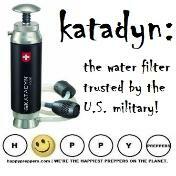 #42: Clean the filters for your water filtration system. 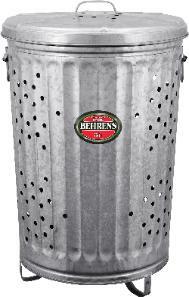 Commit to cleaning the Big Berkey quarterly if you use it daily. 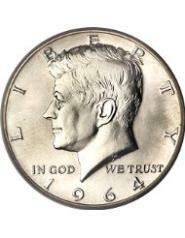 #44: Set aside old copper pennies, and nickels. value in metal than they do in face value. Learn how to cash in on coins for Amazon gift cards. #46: Throw away the microwave. certainly the idea is better than using it for food. 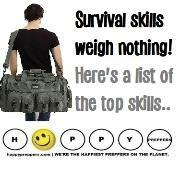 #47: Get in shape with prepper challenges. #48: Make your own fire accelerant. 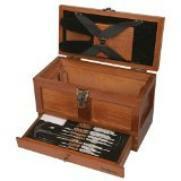 become a skilled craftsman as you also save money. #50: Cook one depression meal a month. #51: Dump the cleaning chemicals. Survival uses of lemon and why to have a lemon tree. #52: Learn how to fish without a rod. #53: Put new line in all the fishing reels. Better yet, learn survival fishing. #54: Shop one week using ONLY coupons. instead of eating fast food. about the Great Depression or war rationing. ask them. Make it your New Year's resolution to visit and learn. #58: Stockpile a luxury non-survival item. survive, but they will be a luxury in a depressed economy. 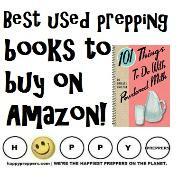 #60: Buy a used prepper book on Amazon. you pay only shipping). 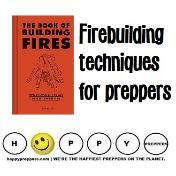 Here's our list of books for preppers. 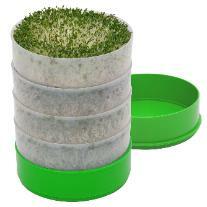 #61: Expand your herb garden. Caraway. Caraway seeds are excellent for breads. puddings, ice cream or cocktails. See the recipe in #62. #62: Make Lemon verbena syrup. Try something different - forage and make something great. Simmer mixture at low heat for 15 minutes. Turn leftovers into soup. Stretch one chicken into five meals. #64: Camp in the snow! #65: Secure a door barricade, bar or brace. 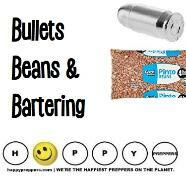 #66: Be a souper prepper. #67: Start saving all the old nickels in a jar. #68: Become a blood donor! being healthy to give it. Africa as well as an Amish staple for sweets. #70: Do something truly interesting with beans. Here's the recipe for Vegan, Gluten-free, black bean brownies. 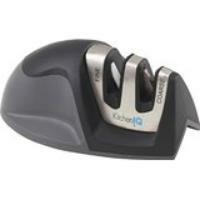 These are highly rated (4.7 stars from more than 325 reviews). including a can of black beans, well rinsed and drained! #71: Dump genetically modified foods in the pantry. 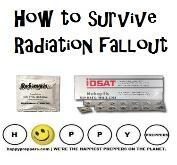 become part of the NON-GMO movement that preppers support. #72: Grow food from kitchen scraps. 25 foods you can regrow yourself from kitchen scraps. recipe of the beloved pancake mix. #74: Make a burn barrel. unfriending someone on Candy Crush will give you more time! 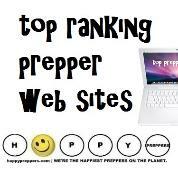 check out or prepper TO DO list. #76: Test your get home bag. 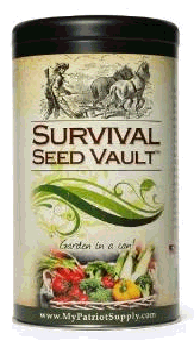 #77: Start your own survival seed vault. your own garden pumpkin or tomatoes. #78: Get a safe deposit box. documents on a flash drive. strategy. How well can the adults do? #80: Test your gas mask and use the drinking tube. you have a tube, test it! #81: Make a stink bug trap. #82: Make a paracord hammock. It will feel satisfying to make paracord hammock. #83: Build a file cabinet smoker. hungry zombies from afar. The smell can drift for miles. meats. There are 11 steps to building a filing cabinet smoker. #84: Give Winter-sowing a try! milk jugs) and Mother Nature." #85: Make use of paper shreds this year. could do with the shreds? Firestarting. The shreds make excellent tinder. starters to welcome the spring. excellent fill for gift baskets. Remember this for Easter! using the shreds for a memorable paper mache project. #86: Take a family photo that hides a secret. 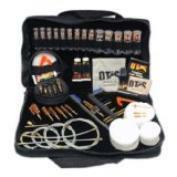 Have a survival cache? A photo can help you secure your wares. #87: Knit a poncho or fringe shawl! 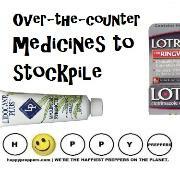 #88: Consider an oddball prepper medicine. #89: Make this the year to let go of fear and worry. better you'll feel, even if you're a beginner. #90: Get a dog to safeguard your family. #91: Don't hit the gym. #92: Switch from paper towels to cloth ones. 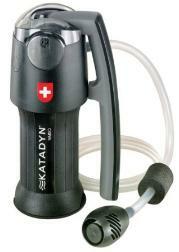 any of these 15 weird survival tools: http://happypreppers. 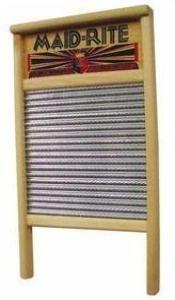 #93: Get a washboard and make some music. #94: Lose weight or not! most things from the list. Here's a list of five apps to help you keep your resolutions. #97: Sock away the socks and underwear. them away as a prep. Take a closer look at how important socks are for survival. lessons if you learn to look for them. #99: Get out of debt.... blah, blah, blah! your wants as it melts. you COULDN'T DO in an off-grid world tomorrow. accomplish for the year. 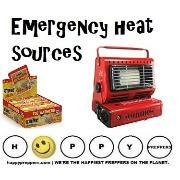 Happy prepping from HappyPreppers.com! resolution to try new things in prepping. Eight Kinds of drinks to hoard. 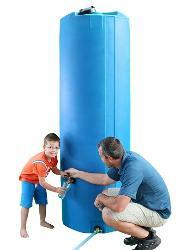 Nine reasons to own a Big Berkey. 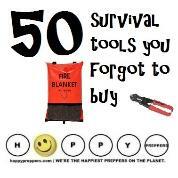 50 Survival tools you forgot to buy! 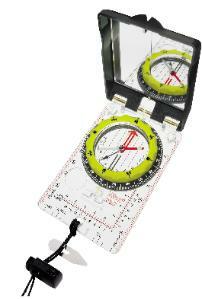 #33: Learn to navigate by compass. #22: Sharpen all the blades in the house. 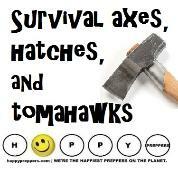 Every prepper's crazy about a sharp dressed blade! #23: Don't get bored, get a board game. keep your family engaged in prepping and entertained. #24: Install a fire escape ladder. 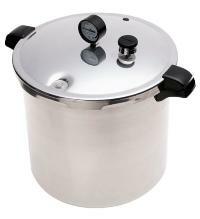 make things from scratch to become more self-sufficient. ladder of rope and wood. Knot together a paracord fire escape ladder. #25: Create a safe room in your house. prepper a safe room means so much more. with a defense strategy. It's much more than a panic room. 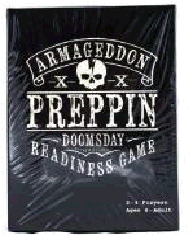 Prepper's don't panic! We prepare. #26: Move away from the big city! 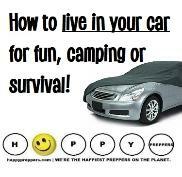 #27: Have the family attend a prepper convention. #28: Preserve your own food. Learn how to pressure can. 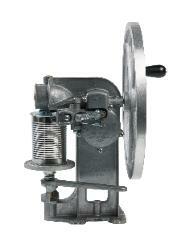 Flywheel Can Sealer, pictured right. #29: Teach the family five new knots. tutorials of the five basic knots to know. #30: Figure out how to test soil pH. Prepare your soil for planting season. #31: Change the oil on all your vehicles. you as filling up with gas. no time. Try it at a party! Consult the soaking and sprouting chart on tasty-yummies. #10: Take combative skills training. self-defense course and enroll the kids in a Martial Arts class. 1001pallets.com for pallet ideas and where to get more pallets. 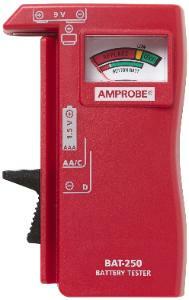 #12: Test the smoke alarm batteries. alarms regularly (and to stick to the schedule). #13: Get a CO detector. wood, natural gas, gasoline, diesel, kerosene, coal and charcoal. 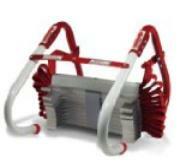 water heater, stove, space heater, charcoal grill or gas dryer. Carbon monoxide kills. This year, get serious about the threat. 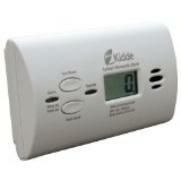 Get and use a carbon monoxide alarm. #14: Make your own seasoning mix. seasoning, ranch dressing, bouillon at home. competition to do well in investing in gold is equally high. benefits. 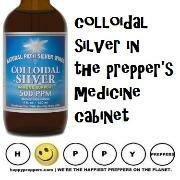 Learn more about copper and prepping. 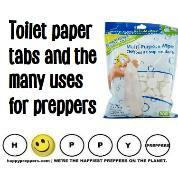 Long term sanitation is something only the serious preppers plan. Get serious about a composting toilet. #18: Dehydrate whatever is on sale. 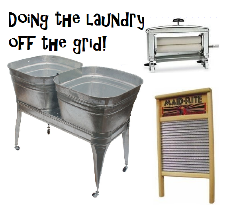 sale and preserve them by dehydrating them. #19: Get some boots that were made for walking. begin to wear them in slowly). 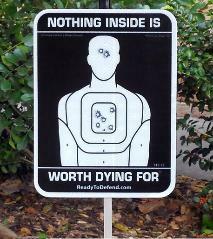 #20: Be on target with your gun terms! by Gunsandammo.com on the top 9 most misused gun terms. #21: Go full tang and teach kids how to use a knife. 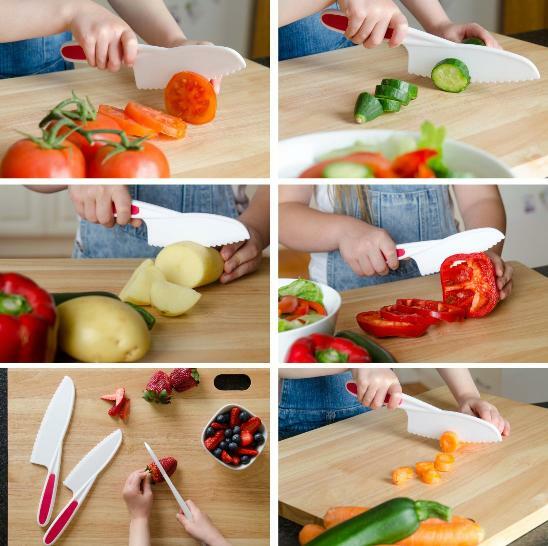 mean you should shy away from exposing your kids to knives. skin. Teach kids bushcraft knife skills or whittling! 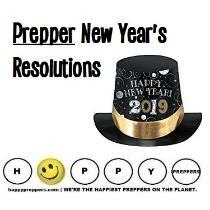 This year give your New Year's resolution a prepper theme! #1: Read the constitution in its entirety! copy of the constitution to carry. #2: Fly a Gadsen flag. #3: Get funky with essential oils. perfect 5-star rating for customer satisfaction. 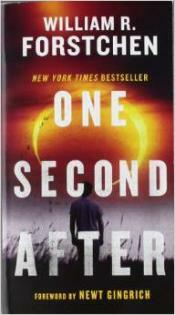 pandemics and everyday colds and fevers. #4: Have a "no spend day." out to lunch with colleagues or heading to the vending machine. #5: Hang clothes on a clothes line to dry. Make it a resolution to finally enroll in a free CERT class. information and surround yourself by like-minded individuals. #7: Make water a priority. Water is life and this year resolve to make it a priority. prepared to filter raw water from it. tank, pictured right, will secure 260 gallons. around 30 gallons of water. purification tablets in the car and bugout bag. filtration and purification is a life-saving skill. 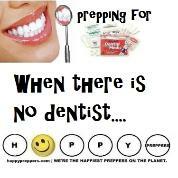 #8: Smile by making a hygiene product at home. times between January 4, 2016 and December 20, 2017. This helps protect our copyright.